In this Streamate review, we go into detail on why this cam site in particular is perfect for most guys looking to pay for a private show with cam girls that go that extra mile to please you. Streamate has become a go-to site for a lot of men and women over the years. Their simple interface, reliable cam models, terrific mobile/tablet responsive design and super easy billing features makes it a solid choice in our opinion. When we look for a cam site that ticks all boxes, it’s not very often that we come across one. 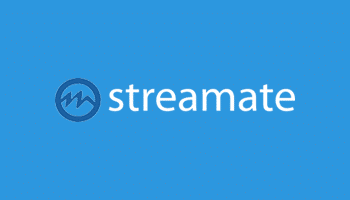 IM Live is one of those sites, but it seems that Streamate may just fit the mould also. With it’s professional setup, you really get the sense that they know what they’re doing. HD cams are the norm on this site, which is a relief. There are no frills, just the rawness of live amatuer girls, doing what they do best. There are over 2,000 performers online at any one time, so it’s damn easy to get lost in multiple group shows at once (yes, we got greedy). Not only that, but the variety of models is quite staggering. All types, shapes, sizes, ethnicities and countries to get stuck into. One of the cool things about Streamate it the options you have with shows. There is a private show where other dudes can join you in a “group” chat, there’s exclusive chat, which is only you and the model together and then there’s something called gold shows, which is pretty much a more expensive version of group shows except the model works harder for the money. $2.99 per minute on average. There is one cross-sale when you sign up that’s optional. Exclusive chats cost the most when you’re 1-on-1 with the model. Note: Although not technically hidden, there is a cross-sale in place when you signup and hand over your credit card. It’s also pre-checked, so make sure you read the terms first. The cams are great, the models are excellent and the pricing is reasonable. We liked the features such as (cam 2 cam) and the different take on cam shows also. It’s the type of cam website that any level of cammer can and SHOULD try out first. It’s always a good sign when a service provides mobile and tablet updates making it even easier to cam whilst on the move. Streamate do a fantastic job at that. Would we recommend it? Yes. To the real fanboys of cams, we’d encourage you to check it out for sure. Streamate never fails to deliver. They have an abundance of HD cams with some of the most stunning cam girls I’ve seen. Prices are reasonable and the private shows are so good. Love this site. If you sign up here today, you will get 50 free tokens to use in ANY live chat you want. tokens are limited though, so DO IT NOW!